Interesting article from Salon about so-called "invasive species" and Alan Burdick's new book, Out of Eden, contesting that term. Whew--it's 2am and we're bushed. 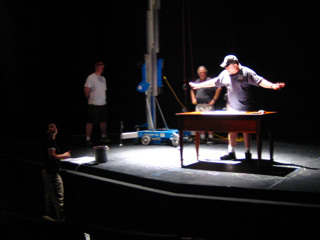 Just finished a 4 hour tech, followed by a quick dinner and then a three hour notes session. My head is aching from it all. We walked by the slave markets today on the way to dinner, which have been artfully preserved from Old Charleston. I know it's naive, but I was shocked for a moment all the same. 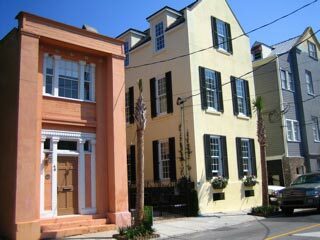 Note: these are not the markets--these are just some of the interesting sideways houses of Charleston.